In less than a month our debut album “ORIGIN” will be released. 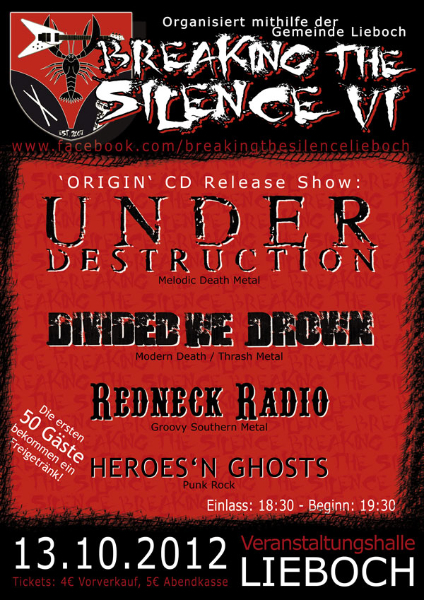 We will headline the sixth “BREAKING THE SILENCE” festival in Lieboch, where we will perform every song from the album! We’re happy to have our good friends from DIVIDED WE DROWN, together with REDNECK RADIO and HEROES’N GHOSTS, as support acts! Check out the little albumteaser we have made – if you like and share it, maybe we will pre-release the whole song next week.